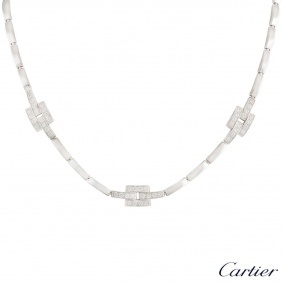 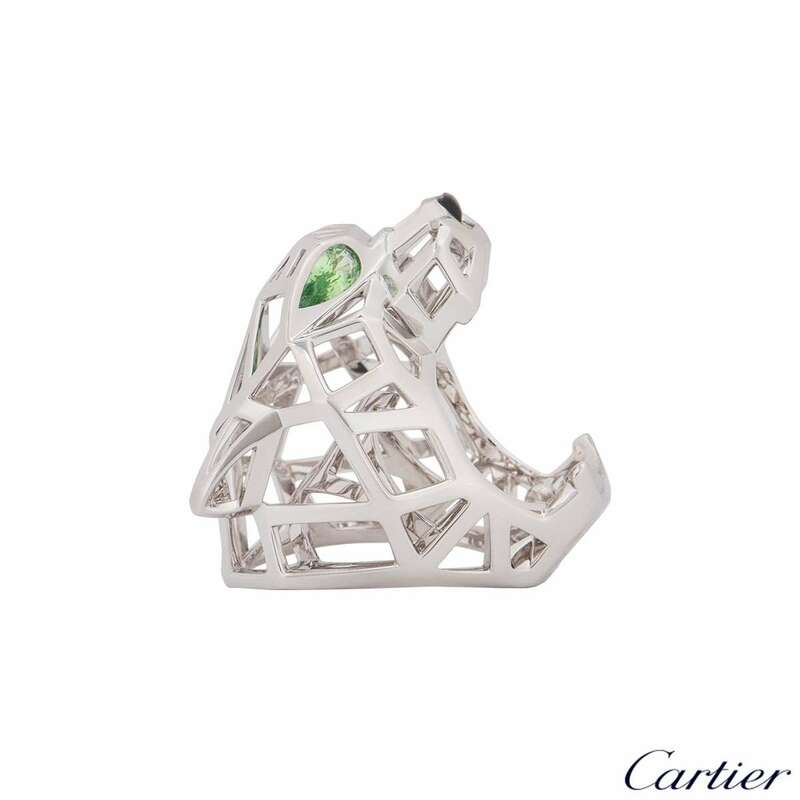 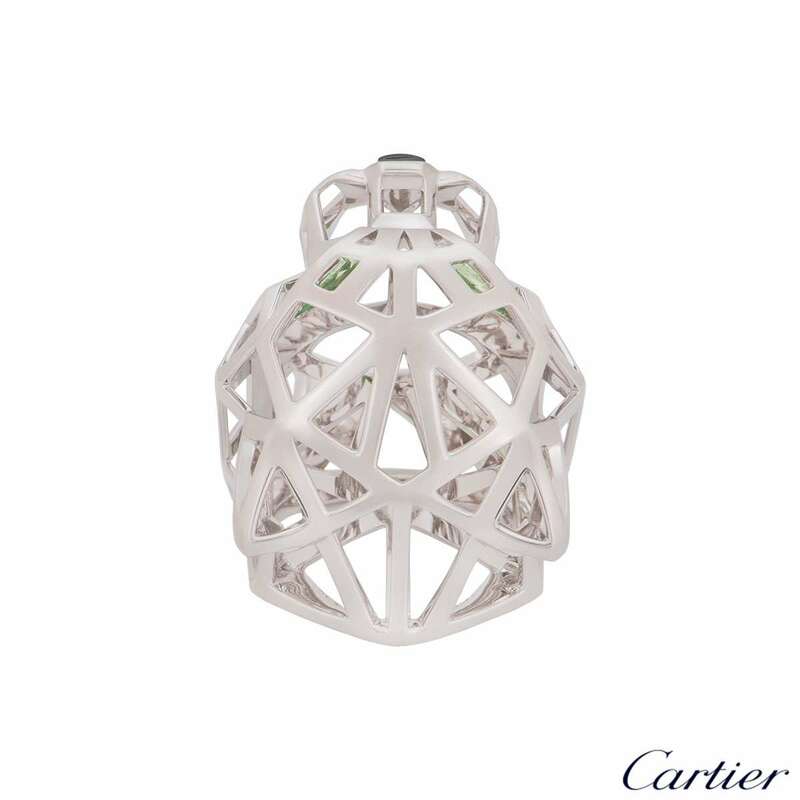 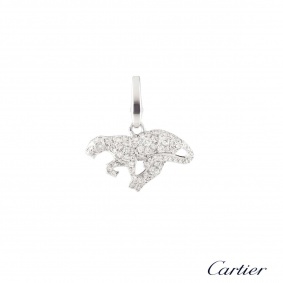 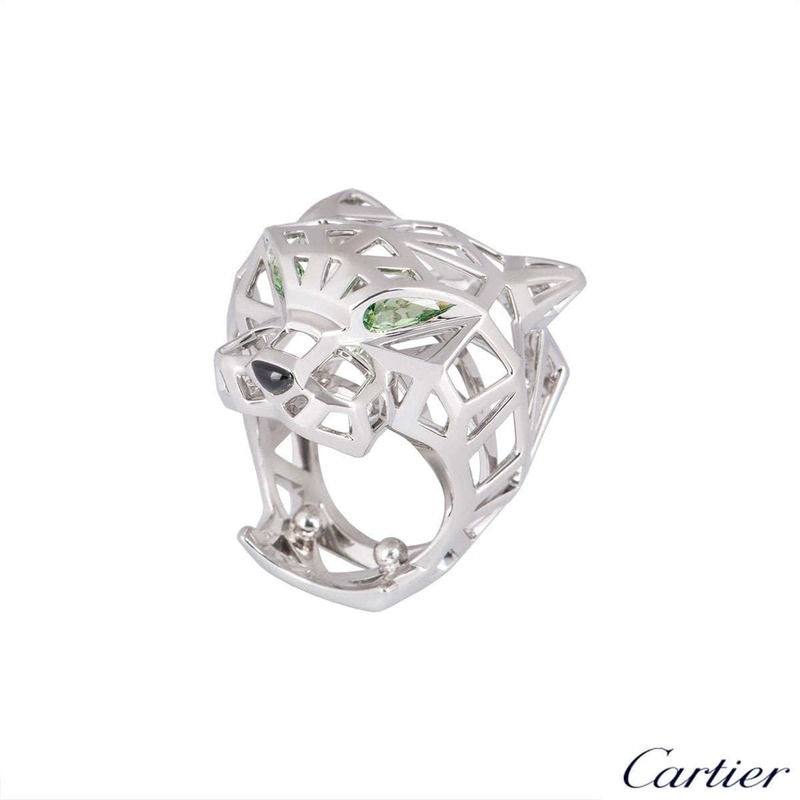 An exemplary 18k white gold Cartier dress ring from the Panthere De Cartier collection. 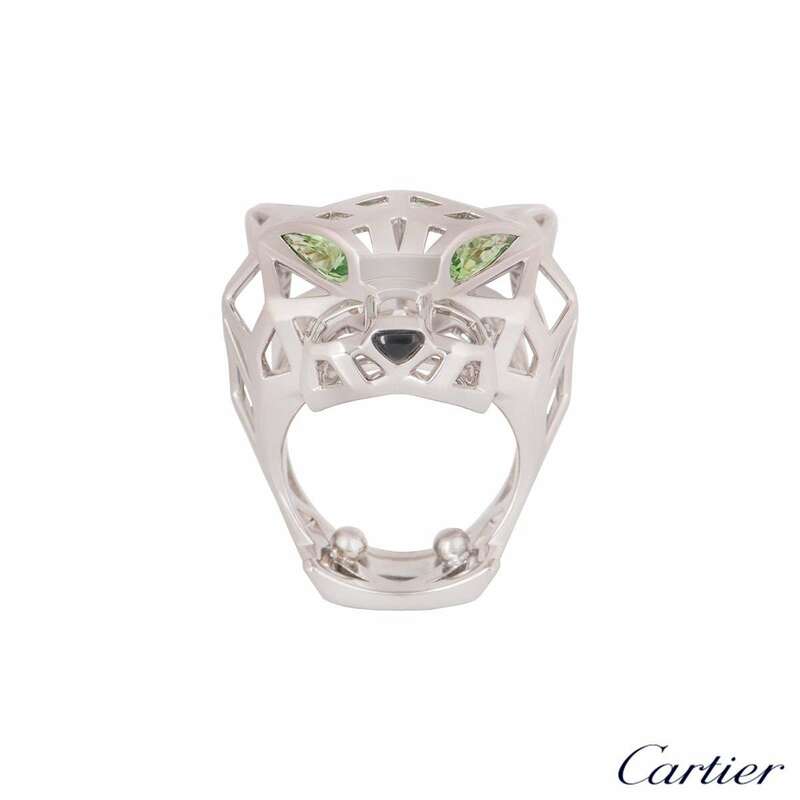 The ring comprises of an open work panther motif with 2 pear cut tsavorite garnets featured as the eyes and an onyx nose. 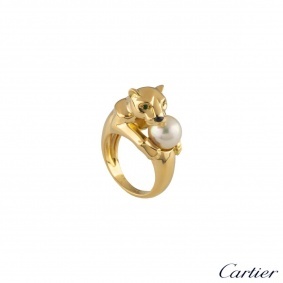 The ring was originally a size 53 but has sizing balls making it a size 51 - the sizing balls can be removed upon request. 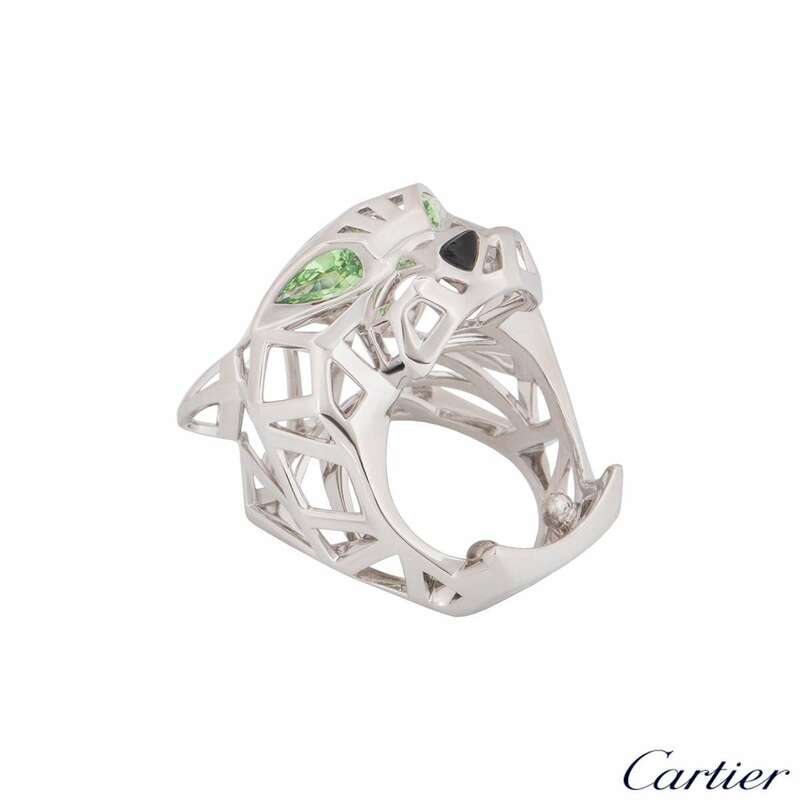 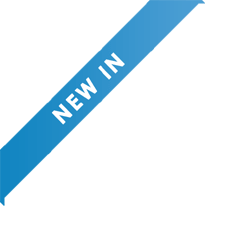 The ring has a gross weight of 22.37 grams. 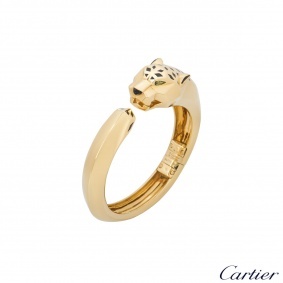 The ring comes complete with a Cartier presentation box and Cartier sales invoice dated December 2016.